We are a leading Exporter of plastic bottles for medicine packing from Mumbai, India. 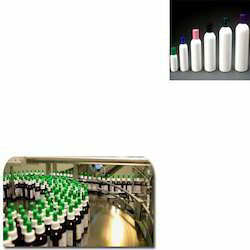 Owing to our aptitude, we are assembling, trading and supplying predominant quality Plastic Bottles for Medicine Packing. Our offered plastic bottle are made by utilizing development innovation & hardware as a part of consistence with pointed out standards of value at our end. This plastic flask is given as our clients need alongside different details & altered alternatives at sensible value structure in changed outlines, shapes and sizes. This plastic flask is broadly requested in the business sector for its quality & uncommonly plan for aromas. Looking for Plastic Bottles for Medicine Packing ?